The mythical ancient city of Troy was once thought to be merely a legend until archaeological work by Heinrich Schliemann in the 19th century identified its site near �anakkale, uncovering extensive remains of nine cities built on top of one another. 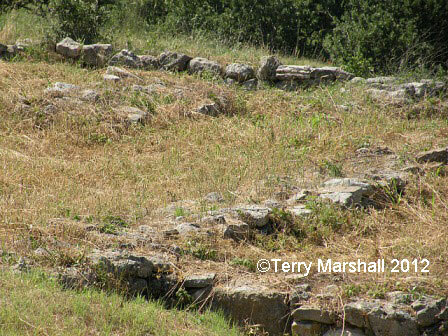 The history of Troy covers some 4,000 years, extending back to 3000 BC. Troy VI is assumed to be the walled city of King Priam (1800-1275 BC), immortalised by Homer in The Iliad when Odysseus used the wooden horse to help the Spartans and Achaeans break the siege of Troy and rescue Helen. The remains of the ancient city walls can still be seen which enclosed a citadel with palaces and administrative buildings. Further ruins exist from the Greek and Roman periods. Organised group tours: Click here to see 10 tours to Western Turkey which may include Archaeological Site of Troy.